How to Celebrate National Tequila Day… like an Adult! It’s no secret that Texans love tequila. so while most of the nation might think of national tequila day as a marketing ploy or a instagram holiday we know better, we know that tequila day is momentous occasion that separates the drunks from the cheap drunks. In college I remember thinking of tequila as that evil bitter liqour that was the catalyst for so many “man I got wasted” stories that ended in tow away lots or county jails. I avoided Tequila like the plague. But now that I’m all grown up and drinking liquor out of glass bottles .. I mean glasses I don’t drink out of the bottle, that would be barbaric.I’ve learned a thing or two and learned to appreciate tequila as a fine beverage and not just the life force within my margarita. Which Tequilas are the best? As I mentioned earlier as a casual drinker I use to associate tequila with the upper rough burning sensation that usually accompanied it. That ladies and gentlemen is a cheap tequila. I found out there are essentially three types of tequila. The best tequilas for taking shots are the smooth ones known as Anejos are the smoothest tequilas. Because they’re aged the longest, Anejo’s are known as dessert or after dinner sipping tequila’s. Typically what you will find in a mixed drink or margarita is a Reposados which are the second smoothest. The third grade of tequila are The blancos, these are aged the least usually he cheapest and best taken as shots. 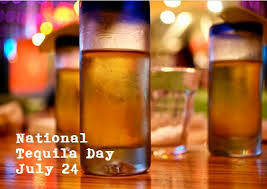 What makes a Tequila is the Blue Agave the finer and more aged the agave is the better and more expensive the tequila. Great brands to try are Avion Patron Cazadores Cabo Wabo and Tres Generaciones was the reader favorite on our recent DEJ face book poll. Honorable mention : Best College style Tequila- If you are looking for cheap tequila stop by the Dallas Comedy House on Tuesday nights for Buck Shot’s its’s sharp hit of tequila that will get you nice and intoxicated and it’s pretty inexpensive during there drink specials (check website for specifics) Now a cheap shot of tequila is pretty common at any bar within 50 miles of a college campus but what makes this a really great deal is the free stand up comedy night, nothing gives you the college experience like listening to adults lament over their failures while shooting down what is basically rubbing alcohol. I highly recommend it. They also have great shows, events and Improv classes 7 nights a week. Tweet us your best tequilas pics and they could end up on our instagram @DEJournal.